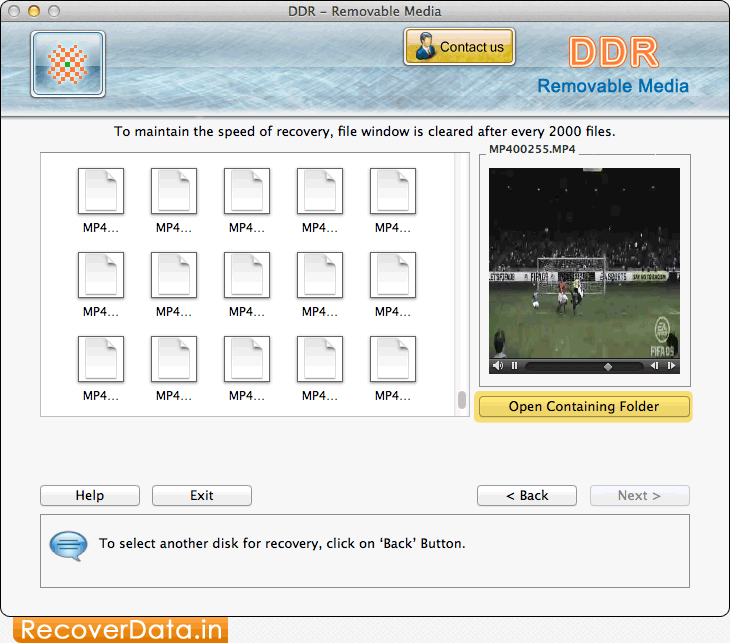 Select the storage media from which you want to recover your lost data. 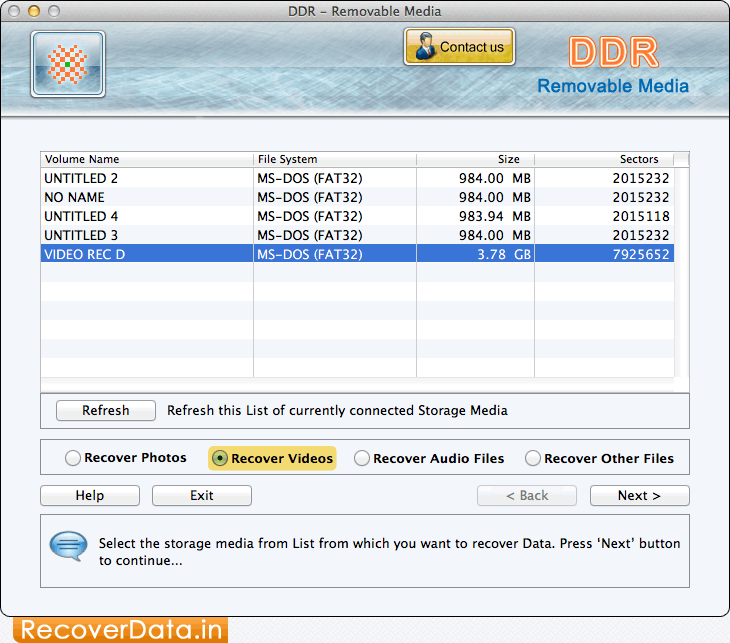 If you want to recover entire lost data from selected disk then choose 'Entire Disk' option. 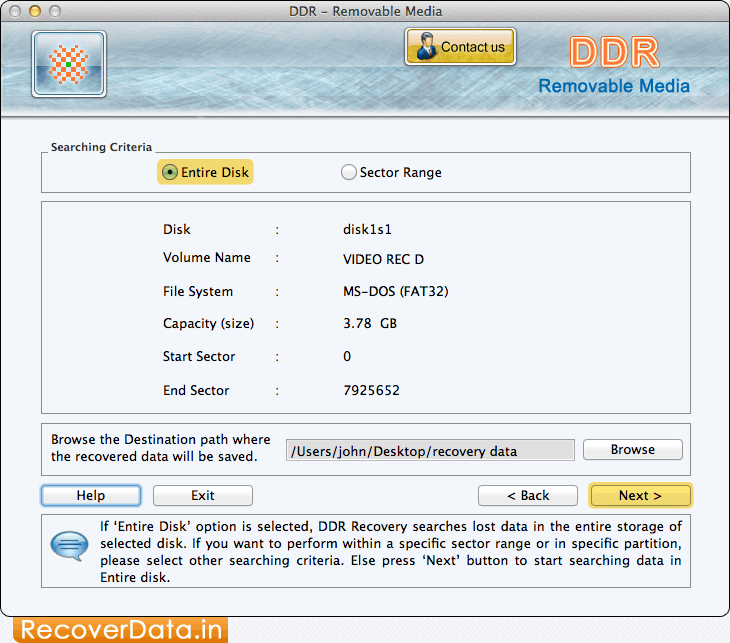 Now click on 'Next' button to start searching data in entire disk. 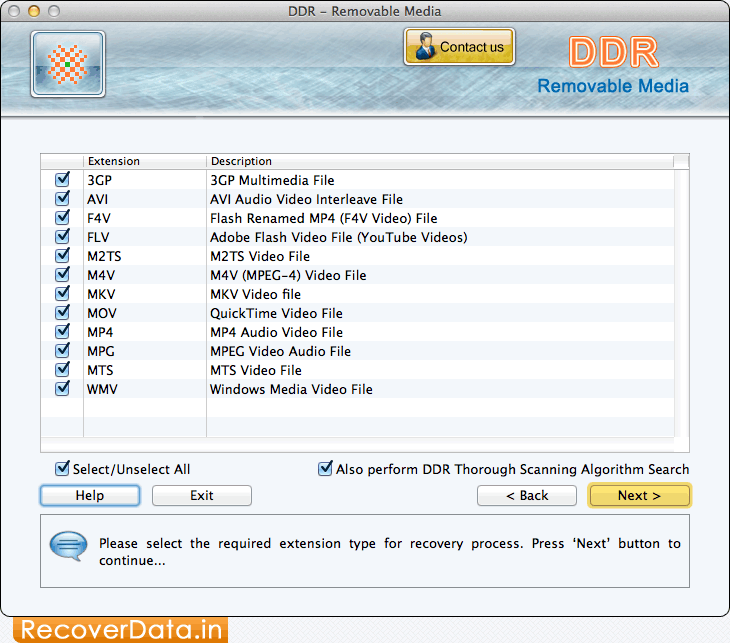 Click on "Select/ Unselect All" to select required extension type for recovery process and then click on 'Next' button. 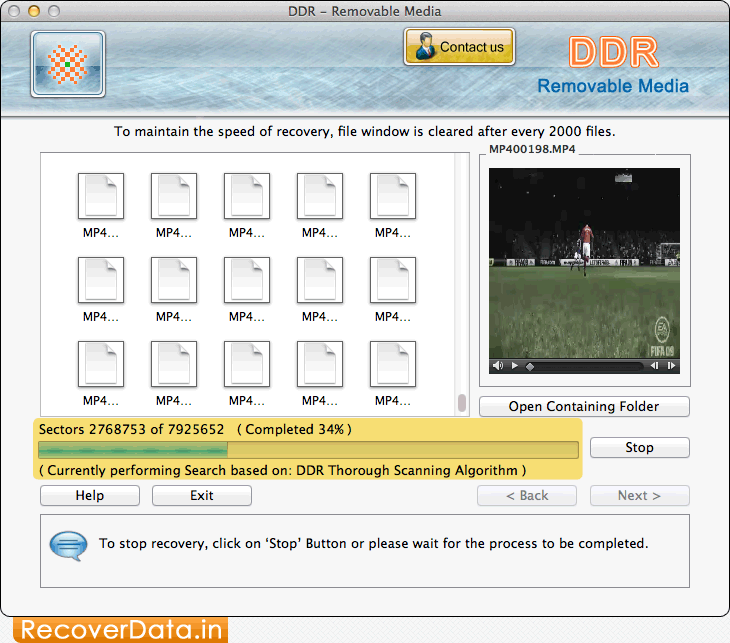 File Searching Process scan and recover lost data using DDR Thorough Scanning Algorithm.